Although some of the stories shared by Bearing Witness are available elsewhere in written form, many others are not. Rather they are family or personal stories shared with us in a letter, email, or, in some cases, an interview (see the stories of Paul and Suja Phinehas, Stanimir Katanic, or Tulio Pedraza for examples). This year the majority of the new stories we’ve received have been in an oral/interview format, due in large part to the storytelling project we hosted at Mennonite World Conference Assembly 16 (MWC) in July, where we recorded people sharing their stories of suffering, opposition, or risk because of their faith in Christ. Richard Rancap shares his story with Bearing Witness at the Global Anabaptist Profile Consultation. Many church history initiatives like Bearing Witness rely on oral history methods of story collection to narrate and interpret stories the past. Oral history is a crucial resource for constructing believer-centered church history that avoids an over-reliance on North American or European institutional archives. 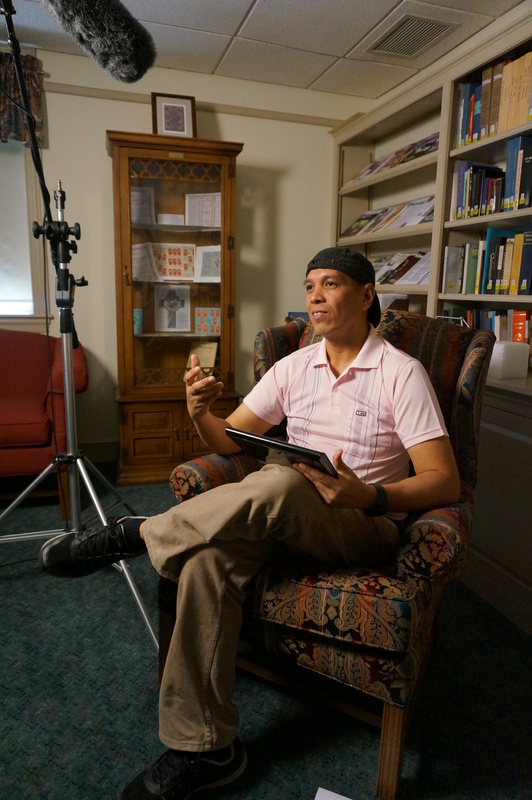 As we work with the interview files from MWC, we are grateful for the example of other church-focused oral history projects. One such initiative is the Dictionary of African Christian Biography (DACB), an online database of biographies documenting the history of African Christianity. The contributions of these “unofficial agents” have often been ignored by official church history, in part because their stories have not been written down. Her family on both sides tried to force her husband to divorce her because of her faith, but he refused because she had given him a son. Hakalla was beaten with hippopotamus leather and forced to chew that same leather as a sign that she would deny the faith. But she would not deny Christ. In the late evenings, her brother and Shigute visited her to pray and strengthen her faith. While Hakalla was pregnant with her second son, the persecution increased. The village elders came to her home, forced her outside, and demanded that she deny Christ, threatening to curse her if she refused. On that particular day she was preparing a traditional medicine which people believed made labour and delivery easier. In their presence, she drank the medicine in the name of Christ. The men then cursed her. Hakalla was willing to die rather than deny Christ. Later that day, she gave birth to a healthy second son and the people saw that the power of Christ had overcome the curse. Hakalla was then ordered not to communicate with her neighbors at all. In spite of this the number of believers kept growing. Amale’s family later joined her in the faith, and Amale herself was a significant leader in the Kale Heywet Church (KHC or Word of Life Evangelical Church). Bearing Witness faces similar challenges as we seek to collect and share stories of costly discipleship. Sometimes we receive stories that are missing crucial historical context. Other times the story’s protagonist is presented as a flawless hero, while the antagonists appear as evil villains. What are some of the faith stories that have been passed down in your family or church? What would an oral history project look like in your church? The Bearing Witness Project enables Anabaptist communities worldwide to share their stories of costly discipleship in ways that inspire greater faithfulness to Jesus Christ and strengthen the church’s unity. If you have a story to tell, please share it!